I like facebook for information on upcoming events like the Ugly Christmas Sweater party at Higher Ground tonight. Or for seeing some crazy fun photos like Roch and Jenn dressed up for the Star Wars movie. I can see when River Rising is offering a vegan soup. I just found out that the Trail Run west of Missoula is offering a relay option which will be fun for my running club. And I found out that Alyssa will be in town for Christmas. I get to see Debbie’s grandchildren and even share a photo of Tin Cup Creek during a late afternoon cross country ski with my dog. Unfortunately, I have to weed through so many pre-done “sayings or phrases or share this if you have an awesome son”, that it’s hard to find the good things. The politics, politics, politics. Mostly, one is preaching to the choir as I assume facebook friends have a lot of the same views. You want us to shoot each other? Look at all the people that “liked” this post or commented positively on it. “Hell yeah, shoot the bastards”. Then the next post this person “likes” is a nativity scene with: “remember the reason for the season”. Shoot each other and Baby Jesus back to back on facebook; I’m so confused. Plus I feel bad that my 12-year-old cousin wasn’t armed on the Christmas day that he was shot and killed. Someone should have told him “victims who shoot back live longer”. Or my grandmother should have been packin’ the day she was shot and killed. Oh! Wait. Technically she was shot with her own gun so it was being used at the time by her husband. One can’t just arbitrarily make such a general comment and assume that’s the answer to gun problems or any problems. You do not know everyone’s story. I digress. Perhaps I should ween myself off facebook and read another book. The book for January will help you see another side of a story and help us understand what other’s may be going through. The book for January is a novel that takes place in 1990 war-torn Yugoslavia and is told by a 10-year-old girl. She becomes a child soldier and then a refugee to the United States. This book is a well told beautiful story but also graphic and eye-opening. I’m sure we will never truly understand what goes on in the modern day civil wars of other countries. 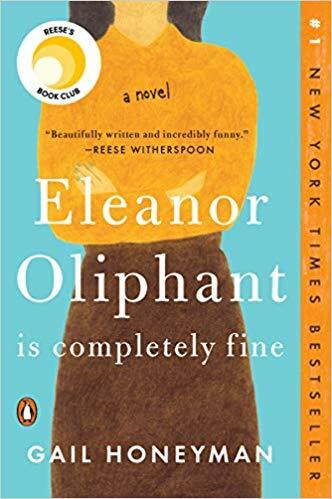 This book will help the reader be more understanding and have empathy for those going through such terrible situations. Maybe think twice before saying general statements such as; lets ban all Muslims from the United States. Hopefully, one will not be so quick to callously say “victims who shoot back, live longer”. But then, I’m preaching to the choir. I suppose I should share this post on facebook. 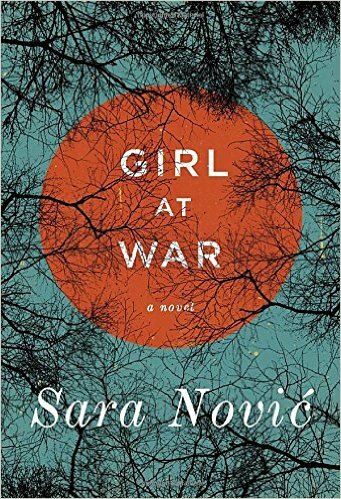 The book for January 2016 is “Girl at War” by Sara Novic’. To find more great reads check out the Wild About Books blog.